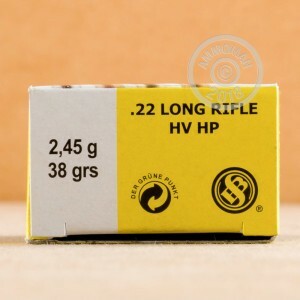 What's a better deal than a brick of .22 LR ammo? Ten bricks of .22 LR ammo! 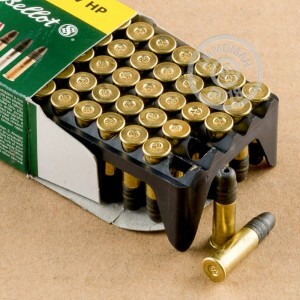 Manufactured by Sellier & Bellot, this case of 5,000 rounds is the perfect choice for any high-volume .22 shooting. These supersonic cartridges are considered "high velocity" and fire a 38 grain hollow point bullet at 1,230 feet per second out of the muzzle. The round's hollow point design is equally at home punching holes in paper or varmints! Worried about the cost of shipping 5,000 rounds of ammo? Stop worrying--AmmoMan.com ships all orders over $99 to your doorstep for FREE!